These wild shrimp have firm, mild and sweet meat. Like other shrimp they cook up white with pink and red highlights. 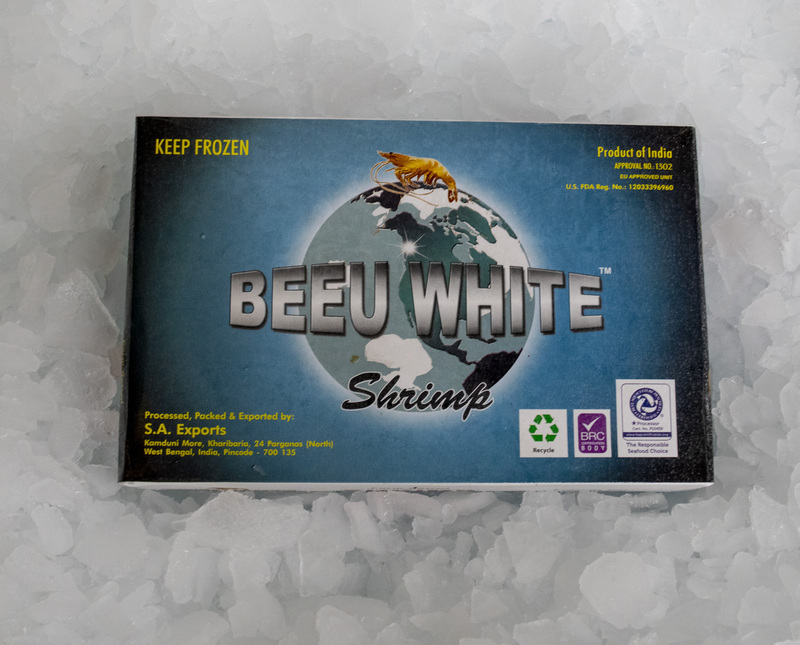 In the wild, Pacific white shrimp are found in the eastern Pacific Ocean from Mexico to Peru. In Mexico they primarily are harvested around the Baja Peninsula, both in the Pacific Ocean and Gulf of California. The shrimp populations in Pacific Mexico appear to be relatively stable, but the status with respect to sustainability is unknown. Government scientists are tracking the population and are working on a new ecosystem based management model for the fishery. Current management regulations include a limit on the number of fishing permits, a closed season, closed areas and gear restrictions. Unfortunately, compliance with government regulations is poor in some areas. The Mexican shrimp fishery uses both trawls (the offshore industrial sector) and gillnets (the inshore artisanal sector). Trawls can have substantial negative impacts on the seafloor, fortunately these species of shrimp tend to inhabit muddy and sandy seafloors. Trawlers are prohibited from operating in less than 5 fathoms of water and are required to carry Vessel Monitoring Systems (satellite tracking systems). Trawls also can have high rates of bycatch. Both turtle and finfish excluder devices are mandatory, and there are on-shore and at-sea inspections and severe penalties for violations. Bycatch has been reduced by over 50% from historic levels but compliance is still a problem. Gillnets have very little interaction with or impact on the seafloor, generally low levels of bycatch because of the small mesh size used for shrimp harvest, but larger animals like the endangered vaquita marina (a marine mammal) and totoaba (a large sea bass) can become entangled in the net. The government has established two reserves or refuges for the vaquita marina where fishing is not allowed as well as closed areas for sea turtle protection. Historically, compliance with these closed areas was poor, but newly mandated Vessel Monitoring Systems are improving compliance rates. Government observers monitor for catch and bycatch, especially interactions with vaquita marina; the coverage rate is about 10% of fishing trips.